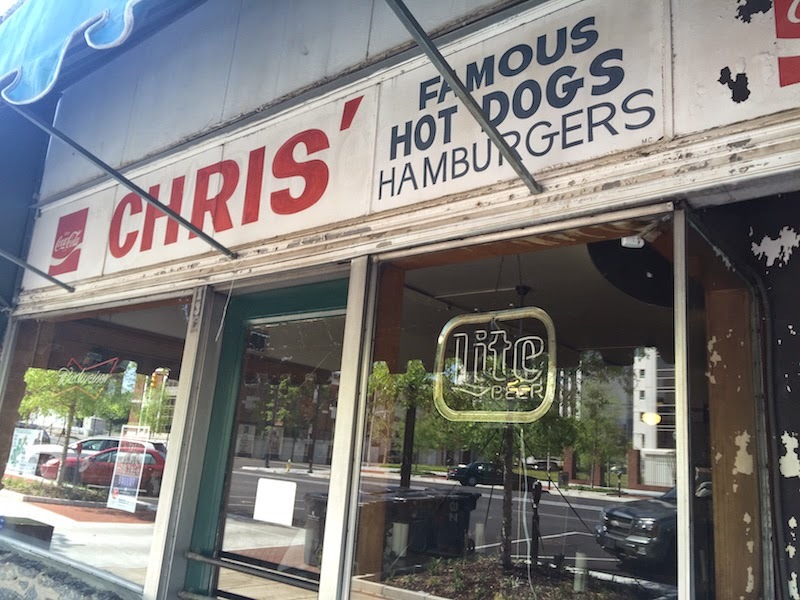 A lot of places have been around a long time, but few have as much history as Chris' Hot Dogs in Montgomery, Alabama. And you'd be hard-pressed to find a friendlier place to eat, too. 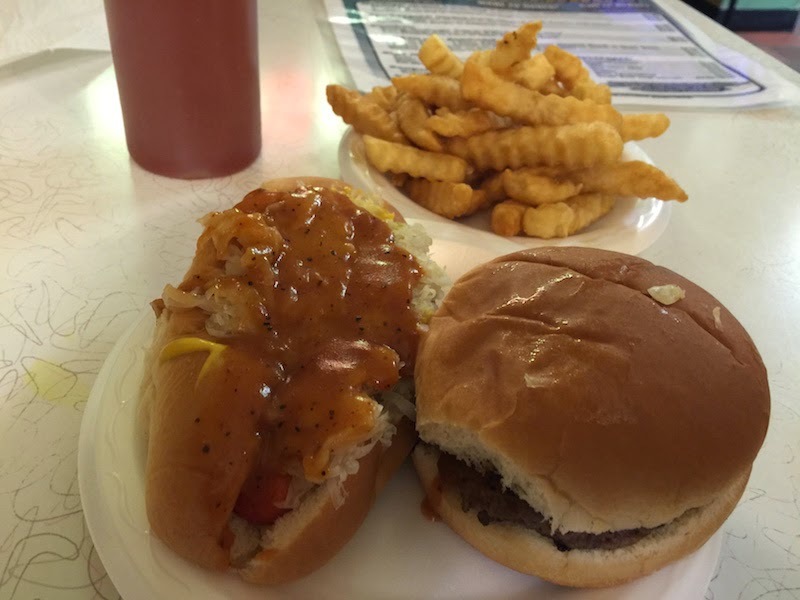 Read my full review of Chris' Hot Dogs after the break. I knew going in that I wanted the combo, so that I could try both a dog and a burger. The combo includes a dog, a burger, and fries. I added in sweet tea. 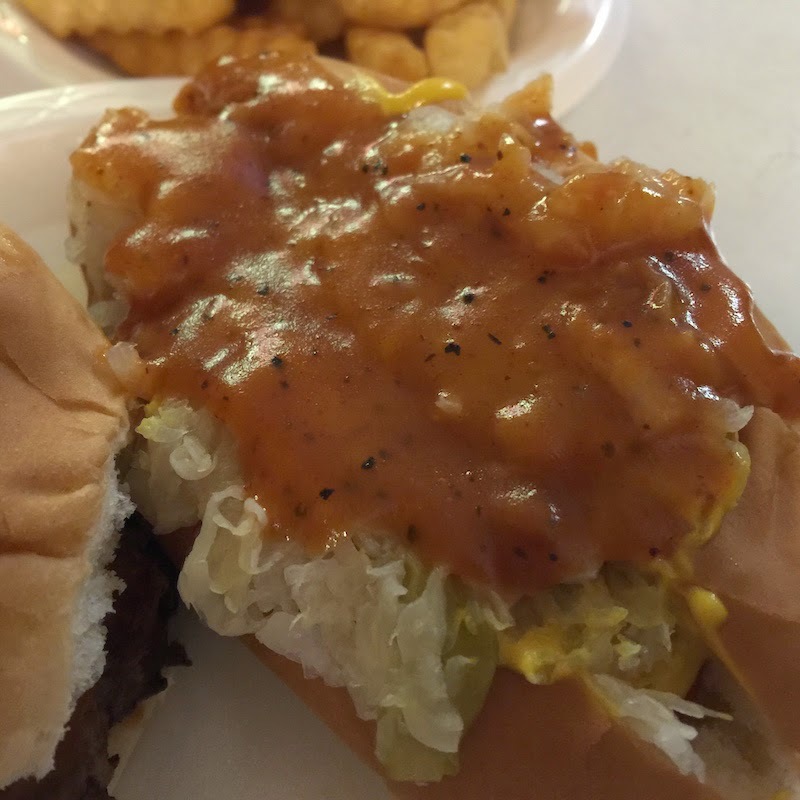 The hot dog has mustard, onion, kraut, and his famous chili sauce which is a thin meat sauce. The dog has a nice snap, and the chili sauce combines with everything to make a very tasty dog. No wonder this place has been around a long time! 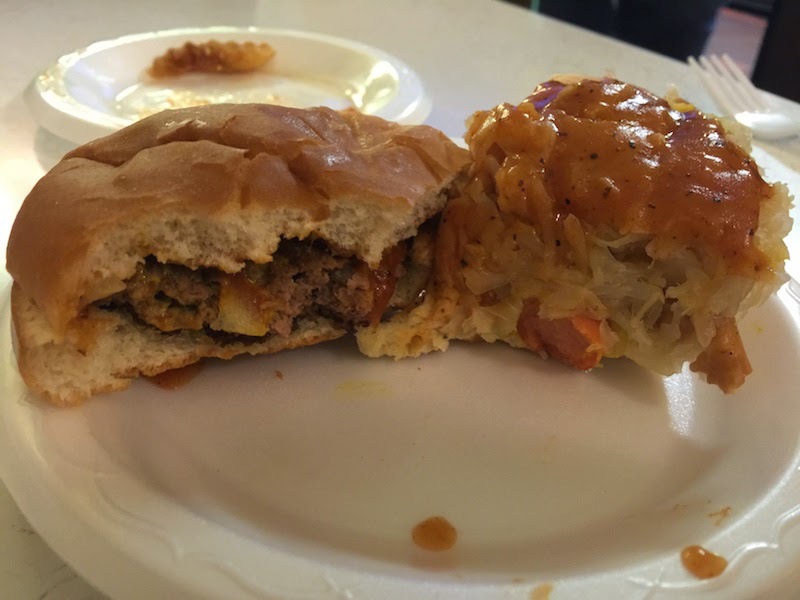 The hamburger is dressed the same as the hot dog including the chili sauce, and also adds catsup. It's also very good. With all the gourmet and fast casual burgers we have nowadays, it's a real treat to have a really good, fresh, traditional hamburger. And it comes out to your table really quickly, and the entire combo (including fries) costs less than many gourmet burgers. There's a lot more than the hot dogs and hamburgers, as everyone is very friendly. I hadn't made it two steps through the door before the waiter asked me how I was, where was I from, and so on. Then after a few moments of checking out the menu, the owner (Chris' grandson) sat down, welcomed me, and told me about the history of his restaurant. TIP: Take the time to walk up Dexter Avenue to visit the Dexter Avenue King Memorial Baptist Church where Martin Luther King preached in the 1950s, and continue on to the Alabama state capitol building and surrounding historical markers, including the site where King gave his speech at the end of the Selma march.